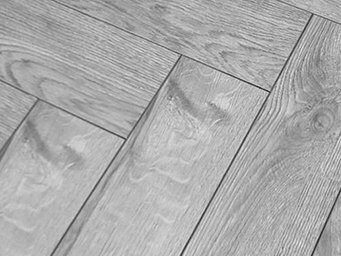 A multi-layered wood flooring that is engineered for durability, stability and underfloor heating without sparing any expense on the real wood finish. The top layer is pure wood that comes in a range of protective coatings to give the desired effect. The base is usually wood veneer to help stop the floor from warping. In between you have a perpendicular layered core of manufactured wood that gives the floor its strength and sturdiness. Browse our engineered wood flooring collection to find a range of natural wood finishes including rustic, oiled, lacquered and hand-scraped effects. Engineered wood flooring is a popular alternative to solid wood. With an extended lifespan of 25years, most people cannot tell the difference on close inspection. Utilising an engineered wood plank with a real wood surface, this is the perfect choice for those looking for good quality and affordable real wood flooring!!! This type of real wood flooring is engineered with a thick piece of hardwood on the surface with one or more extra reinforced layer(s) underneath for additional stability. Most of these products have edges that are cut into grooves to create a patent click system for easy installation. The way this floor is constructed makes it suitable for the installation of underfloor radiant heating systems. It is designed to allow heat to be penetrated through in a systematic but conventional way without over-disturbing the properties of the wood. The following benefits justify the price you pay for these awesome looking eningeered wood floors, for a longer lasting impression. Simple installation with options: Glue, Nails or leaving afloat. Why buy engineered wood flooring from Floors Direct? Order a sample and you will see for yourself! We stock the best quality engineered wood floors in many styles at the lowest affordable prices. We promise you will not find a like for like product for a penny less and if you do will match the price before you make your purchase. Still in doubt? Order a sample today and see the quality finish and cross sectioned layers of the plank to appreciate the engineered composition of these quality flooring products.